I received the invitations in the mail and I love love love them!!!!! Thank-you for such a stress free experience. I just wanted to personally write to thank you so much for everything. The wedding stationery was better than I imagined it would be. The theme and style was just perfect and fit in well with the rest of the wedding decor. It was all very simple yet elegant with a sense of style and class. I knew we chose well for both functions, being the engagement and the wedding. It was all just perfect with that WOW! factor added. Once again, thank you for a job well done. What can I say! 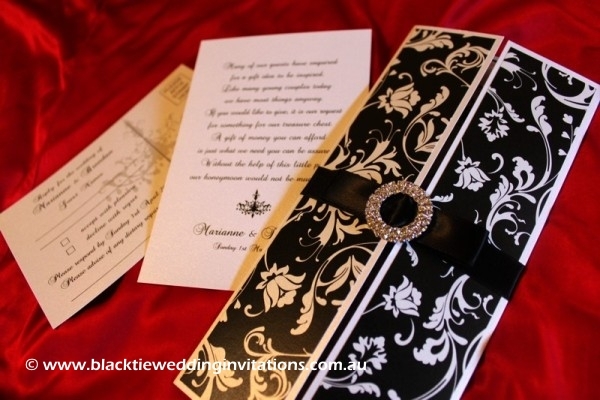 Black Tie created the most amazing stationery for our wedding we could not have been happier! 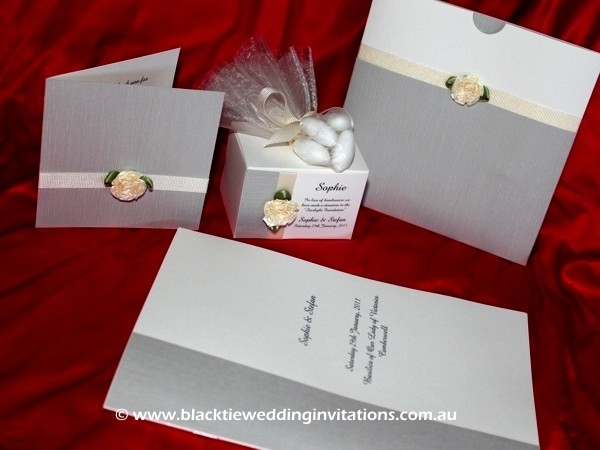 They did our Invitations including Reply cards, Thankyou cards, Mass Booklets and a Cake Box / Name Card in one! We had no idea what we wanted going into the consultation but they worked with us and gave us so many options, anything was possible! We came out feeling so happy and excited with what they had designed for us. They communicated with us every step of the way and kept constant contact which was so reassuring for me as a crazy/busy bride! Our invitations and stationery turned out absolutely 100% flawless and were ready ahead of time. 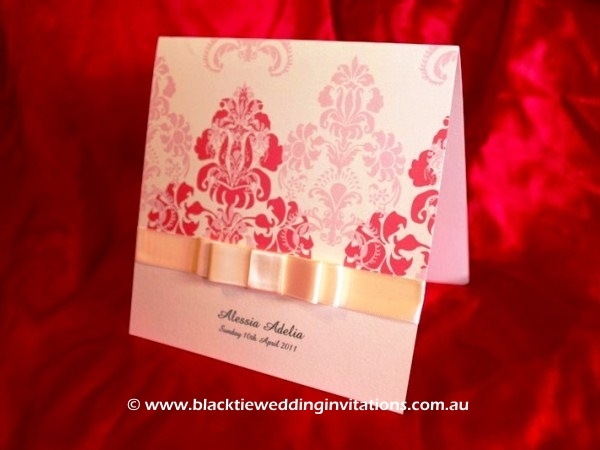 Keep up the fantastic work Black Tie – we will definitely be spreading the word and recommending you to anyone seeking their dream invitations. 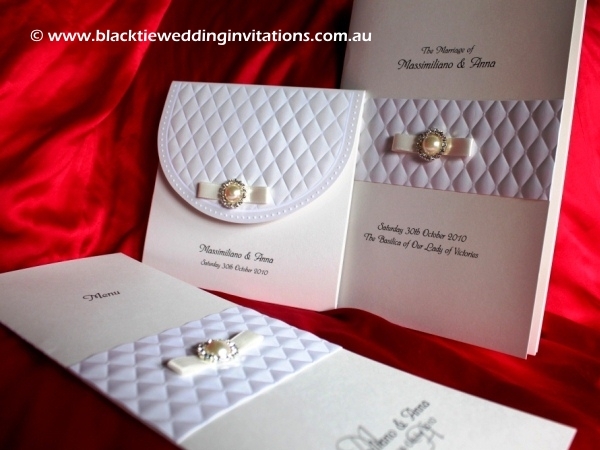 As a returning customer of Black Tie Wedding Invitations, once again the service and quality of work was exceptional. 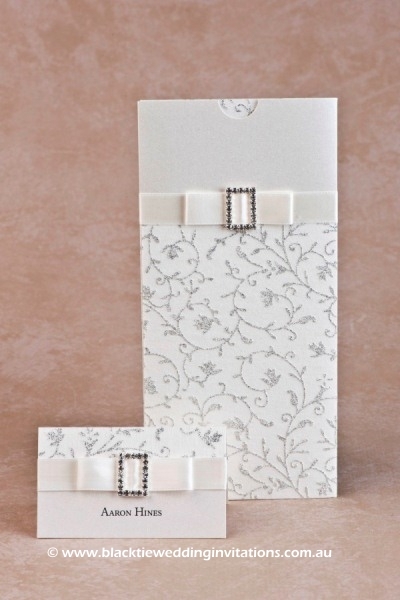 The Christening invitations that were designed were amazing and exceeded my expectations. As a satisfied customer, I will be returning again. 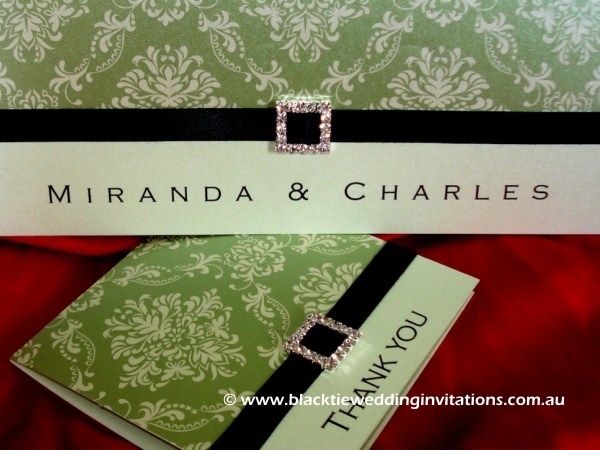 Thanks Black Tie Wedding Invitations, you’ve done it again. 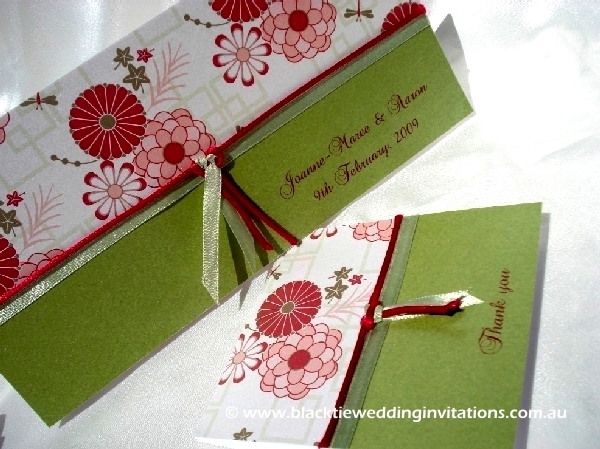 Thank you for our beautiful wedding invitations. They were customised perfectly for our theme. The customer service provided by Black Tie was excellent & efficient. Many, many thanks to Black Tie for the prompt, helpful and efficient service they provided. Black Tie definitely went the extra mile to help me receive my invites within a short time frame and especially before Christmas. 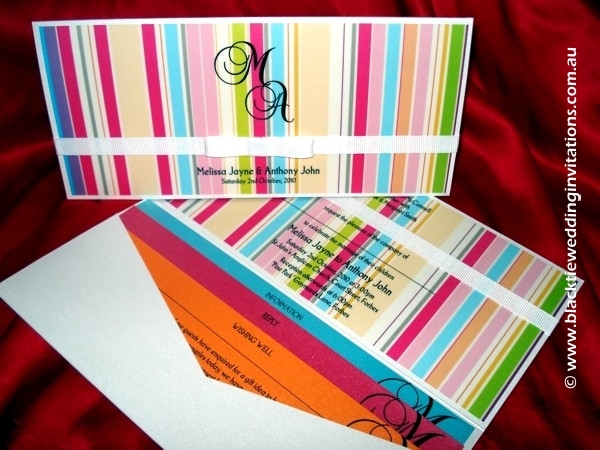 Their service is as exceptional as their stationery! 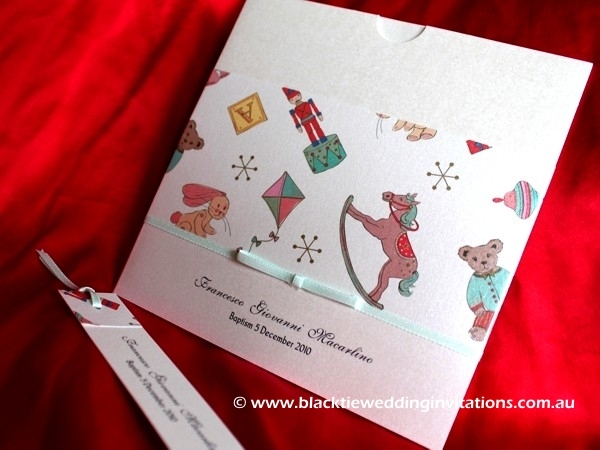 Would definitely recommend Black Tie as it is very hard to find such quality stationery as well as quality customer service. I received the invitations and bomboniere cards. Thank you, they are beautiful!! Thank you for the excellent, efficient service!! Mine are the Best Invitations! I am so happy with them.Have had nothing but great comments about them. They are of a very high quality. Black Tie helped me design the perfect invitations for our wedding. They were made and we got the final product with all contact done via email. I am 110% happy with them. I would like to say thank you very much for everything and for creating the best invites I have ever seen! You have been an absolute pleasure to work with and flexible on every occasion.